What’s the Smarter Phone System Investment? When it comes to making wise investments, organizations need to borrow a page from the consumer playbook and “get the most for the least.” This doesn’t necessarily mean getting the cheapest price. It simply means that businesses need to assess their needs, conduct marketplace research, evaluate potential solutions, and select the one that delivers the most long-term value. However, just like consumers, sometimes businesses can mistakenly head in the other direction: getting the least for the most. And since this unfortunate fact doesn’t come to light until after a purchase decision is made, businesses in this situation are forced to absorb the excess costs or purchase a replacement. Either way, it’s costly, time consuming, risky and frustrating. Here’s what the above has to do with business VoIP phone systems. Some businesses are led to believe that they’ll get the most for the least by purchasing a low cost in-house PBX system, and then purchasing relatively inexpensive SIP trunks (these are telephone line trunks delivered over IP using the SIP protocol, and are necessary for an in-house PBX system to function). One of the primary cost advantages of a VoIP phone system vs. a conventional landline hosted system is that businesses can use a single voice/data network vs. purchase separate networks. However, this is often not the case when using an on-premise PBX with SIP trunking. To prevent data network degradation— and angry end users — many businesses are obliged to purchase a separate internet connection. This can cost anywhere from hundreds to thousands of dollars a year, depending on the number of users. It goes without saying that a VoIP phone system will only generate efficiencies and advantages if people use it! However, end user training isn’t included in the on-site PBX+SIP trunking strategy. Businesses must purchase this separately from a consultant or telecommunications firm. However, this isn’t a cost category with hosted VoIP phone systems. Training is included in the package, because a phone system that isn’t being used properly and fully isn’t an asset — it’s a liability. Perhaps the only thing worse than having unhappy IT staff, is paying for unhappy IT staff. Yet that’s the scenario that many businesses face with on-site PBX+SIP trunking, because instead of completing the tasks in their job description, IT staff are bogged down and held back by endless support requests, software upgrades, configurations, and so on. As such, businesses must pay higher labor costs (i.e. their IT staff is less productive and/or they must hire additional IT staff), or they must purchase a pricey maintenance contract. With a hosted VoIP phone system, all support — including handling end user inquiries and performing system upgrades/updates — are covered by the off-site Solutions Provider. And since hosted VoIP phone system deployments use managed routers, many system configurations and changes can be made remotely when the business is closed. On-site PBX systems need greater computing power, both for regular operation and for cooling. They also need larger uninterrupted power supply (UPS) units to run the system in the event of a power outage. This translates into hundreds or thousands of dollars a year in additional electricity costs. With a hosted VoIP phone system, power requirements are minimal. Only Power over Ethernet (PoE) switches and modems/routers need power, along with a relatively smaller network of uninterrupted power supply units. When businesses do the math and add up all of the costs of ownership — both direct and indirect — they typically arrive at a surprising conclusion: the money they expected to save by going with on-site PBX+SIP trunking is not just offset by the added expense, but eliminated. In other words: they would have achieved their goal of “getting more for less” by choosing a hosted VoIP phone system from day one! To learn more about your options, and to get a clear and accurate understanding of the REAL costs of on-premise PBX+SIP trunking, contact the DigitalPhone.io team today at (336) 560-4400. Your consultation with us is free. A few decades ago, fax machines roamed freely on the business landscape: and it was good. Actually, it was groundbreaking. The idea of transmitting an exact facsimile of a document to anyone in the world — and within a matter of seconds — was incredible. Indeed, if you build a time machine and head back to circa 1988, you’ll be greeted by an orchestra of screeching fax machines (don’t worry, it’s a screech of joy, not of pain). Well, here we are about to enter the third decade of the 21st century, and traditional fax machines are few and far between. In fact, some millennial doctors have no idea what to do with this ancient technology. But does this mean faxing is dead? Not at all! Doctors, pharmacists, lawyers and many other professionals are using cloud faxing because it’s more secure. This is because unlike scanning and attaching a document to an email, faxing converts a document into base64 binary at its source, sends it through the Public Switched Telephone Network (PSTN), and then reassembles it at the other end. In addition, faxed documents are stored in a secure off-site data center. Office space is expensive — especially in premium locations. A conventional fax machine requires sufficient space to ensure safe and proper usage (and keep supplies nearby, like paper, ink, etc.). This is a non-issue with cloud faxing. It’s 100% virtual, and doesn’t take up any space. Cloud faxing is available to employees whenever they want, and from where they’re working. They don’t have to wait to get back to the office, and they don’t have to wait in line or hike across the building. They can simply launch any internet-connected computer, laptop, desktop or smartphone, and send/receive faxes. 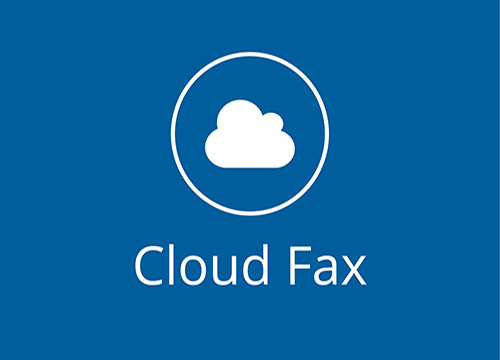 They can also schedule faxes to be sent at a future date/time, and email faxes to colleagues or any other part (the receiving party doesn’t need to have cloud faxing — they will simply get an email with a PDF attachment). Conventional fax machines are pricey to buy and maintain, and organizations need a dedicated line or switch — which adds to the cost. On the other hand, cloud faxing is extremely cost effective. There are no usage or long distance fees, nor is there a need to purchase new phone lines or upgrading existing ones. What’s more, organizations with remote workers who need to send/receive faxes don’t have to equip them with fax machines. They simply provide them with cloud faxing, and save hundreds or thousands of dollars per year. Readers of a certain vintage may recall that generating reports with conventional fax machines was — and remains — manually intensive and quite tedious. Cloud faxing completely changes this for the better. At any time and from anywhere, authorized users (e.g. managers) can simply login to review fax history, usage details, and other data. Are you ready to switch to cloud faxing — and reap all of the rewards above? Then call DigitalPhone.io today at (336) 560-4400. Your consultation with us is free. Some myths in life are perfectly fine to be left as-is. For example, even the most practical of parents don’t want to be responsible for shattering their young child’s belief that Santa Claus lives in the North Pole with a tribe of friendly reindeer and elves. And what parent hasn’t silently said a “thank you” to the great soul who invented the Tooth Fairy. Seriously: is there a better bargain in the world than spending a few bucks to have a child look forward to losing a tooth vs. dread it? However, there are some persistent myths that aren’t fun or functional — and like many disruptive technology-led solutions, cloud business VoIP phone systems are caught up in the misinformation net. The Truth: Cloud business VoIP phone system calling quality is actually superior to a conventional landline phone system. This is because cloud systems use certified VoIP phones that are designed to convert standard analog audio into crystal clear digital packets. The result is consistently outstanding call quality, regardless of what other users are doing on the network (e.g. sending emails, watching videos, surfing the web, and so on). Conversely, conventional landline phone systems essentially use degraded copper wire technology that was invented in the 19th century, and has not fundamentally changed in the last two centuries. Myth #2: Cloud business VoIP phone systems aren’t suitable for startups and small businesses. The Truth: Cloud business VoIP phone systems are ideal for startups and small businesses, because they are extremely affordable vs. conventional on-premises systems — both to setup, and to maintain. What’s more, businesses can start with less than 5 users, and scale up as required to over 5,000 users. That’s why both small startups and large enterprises are switching to cloud business VoIP phone systems. It simply makes bottom-line sense. Myth #3: Cloud business VoIP phone systems aren’t as reliable as conventional landline systems. The Truth: Conventional phone companies “go to the well” on this myth often in order to avoid losing customers. As you might expect, the truth is a very different story! Cloud business VoIP phone systems are actually more reliable than conventional systems, because they leverage multiple automatic backup and failover systems (learn more about these here). That’s why during brownouts and blackouts, when businesses with conventional landline phone systems cannot even get a dial tone, businesses with a cloud solution are making and receiving calls without any issue. Myth #4: Cloud business VoIP phone systems lack solution control. The Truth: Cloud business VoIP phone systems empower businesses with unprecedented control over all aspects of the solution via a simple-to-use web interface, which can be accessed from any computer, laptop, tablet or device — anytime, anywhere. Instead of having to “call the phone company” and wait days or weeks for a technician to make a change, businesses can easily adjust call flow rules, forward calls, add extensions, and so on. When it comes to making smart and successful decisions, businesses need to empower themselves with FACTS and steer clear of MYTHS. Keeping the above in mind will help you understand why a cloud business VoIP phone system makes sense — especially when it comes to your bottom line. To learn more, contact the DigitalPhone.io team today. Your consultation with us is free, and we’ll gladly provide you with a live, guided demo of our solutions and services.